SAUDI ARABIA. Mecca. 1992. Hajj pilgrimage. Pilgrims from all over the world pray on Mount Rahma. Mount Rahma, in the plain of Arafat (where Muslims believe Adam met Eve). 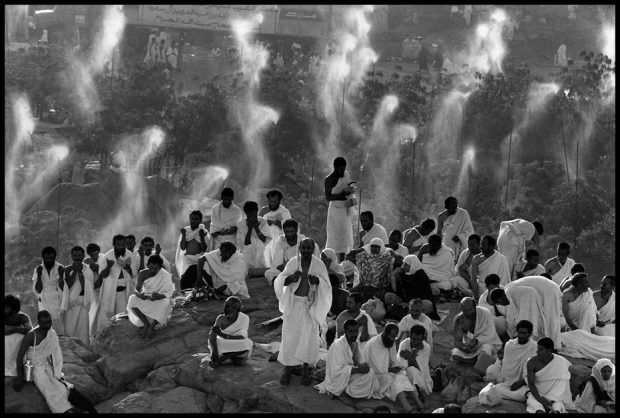 Pilgrims dressed in the Ihram (two pieces of unstitched white cloth), gather to show their respect for all forms of life. Driplets of water cool off pilgrims and trees from the dense heat.